Doncaster has always served to push the big smoke of Melbourne along. A former orchard town, populated with large estates, the area began to grow in importance as people pushed into the Dandenongs in the middle of the 19th century. Soon, it featured a large downtown area and many large homes, and has only continued to grow in recent years. Zesta Kitchens has been at the forefront of these advancements in recent years, as our distinctive lineup of affordable kitchens have been helping Doncaster to upgrade and revive its housing market, as it competes with Melbourne for a place at the table. Our classy and unique kitchens, coming at affordable price while remaining high-quality and durable, are ideal for this purpose. Whether in a high-rise or a 19th century home, many of the same factors need to be considered when considering a Doncaster kitchen renovation. How far should you take your renovation project? 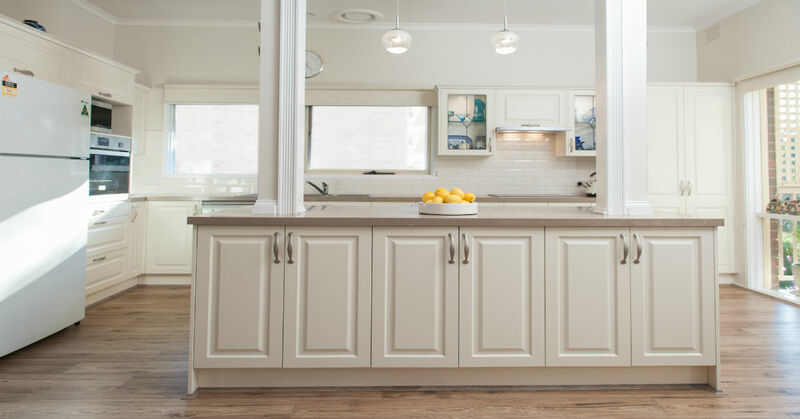 If a visit to your kitchen leaves you cringing, then you know that a complete kitchen renovation is the best way to go – especially if you want to change the layout of the cabinetry or placement of the appliances. There may only be certain aspects of your kitchen you want to change. While partial remodel projects are a great option for saving homeowners’ time and money, they may not save you a lot of money in the long run. Are you planning on selling or renting your home? Another helpful consideration when thinking about how far to take your Doncaster kitchen renovation is if you plan on selling or renting your home within the next five to ten years. An attractive and stylish kitchen is a key selling point for every home, and it can also increase the amount of rental income you earn. Investing a bit more in an on-trend and beautiful kitchen now can give you a good return on your investment. What do you need from your kitchen? Before sitting down with a Melbourne Kitchen Designer, think about what you want from your kitchen. The needs of an expert chef, for example, will differ quite a bit from a single individual who doesn’t prepare extensive meals. How many chefs plan to be cooking in the kitchen at the same time? From small to large and classic to contemporary, there is a Zesta Kitchen for every Doncaster kitchen renovation project. Check out our massive and distinct range of kitchens. At Zesta Kitchens, we have Doncaster’s kitchens ready to go! We take inspiration from some of the most beloved traditional layouts and the latest features when putting together kitchens for our extensive collection. After browsing through our selection, we invite you to meet up for a complimentary in-home consultation with one of our expert Melbourne Kitchen Designers to learn more about how we can add beauty and functionality to your home. You’re invited to visit one of our three showrooms, contact us online, or you can give us a call at your convenience on 1300 100 555. Doncaster is a suburb of Melbourne, located 15 kilometres from the central business district. Placed around the 120 vertical meters of Doncaster Hill, it’s elevated position offers it commanding views of the region, although it is better known for its large shopping complexes, and sportsmen and women.